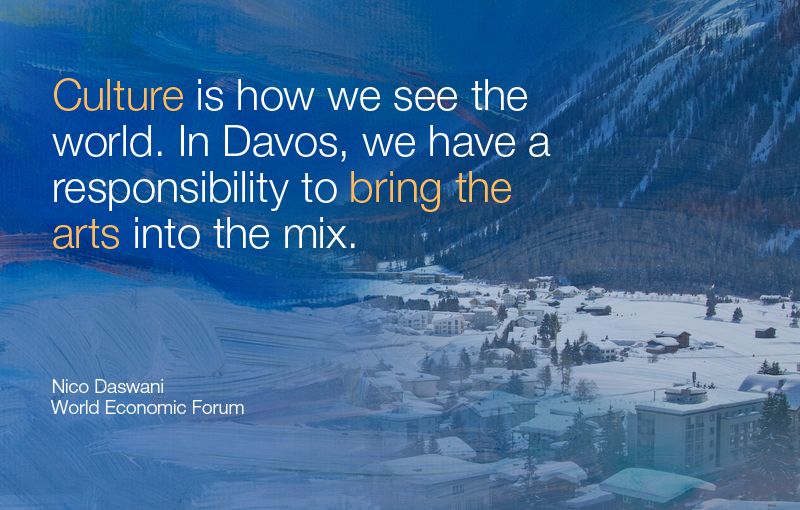 Why do we bring artists to Davos? When I met the playwright and comedian Sarah Jones in New York last May, we talked about culture and upbringings, and I mentioned my Indian heritage. She paused for a second and then in a snap she transformed herself into my grandmother—the accent, the body language, the rhythm of speech, even a few words in Hindi. What was astonishing was the nuance and the precision of everything she did that made her authentically Indian. 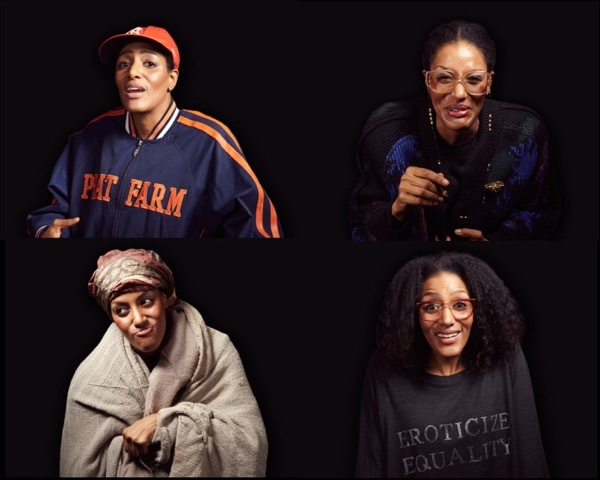 Sarah is African American, but she can equally easily become a fast-talking Dominican student, an elderly Jewish lady or impersonate a number of other characters representing very different world views and life experiences. She performs this feat in her celebrated comedy show, the “One-Woman Global Village”, which explores both our diversity and the universality of our needs and hopes. In a world where walls are springing up, where nationalism and populism are stoking fear of the other, how could one single person like Sarah effortlessly break those barriers? Sarah and many other cultural leaders are coming to Davos this year to respond to a climate of exclusion by providing visions of balance, inclusiveness and nuance. The arts are included in Davos now more than ever because they are needed. To complement the important conversations and debates on global challenges, we have created something akin to a set of artistic interventions—performances, screenings, visual displays and immersive installations—in an effort to make those global challenges personal and to inspire our community of leaders to see hope even where the circumstances are bleak. There has been a debate for centuries about the value of the arts. Are the arts an enjoyable distraction from the pressing concerns of everyday life, or can they help us better appreciate our world and provide inspiration to live everyday life to the fullest? At a time when there is a premium on efficiency, scale, and return on investment, it can be difficult to speak of the impact of the arts. Some have tried to argue for the economic benefits of the arts, which are not insignificant, but this unfortunately places the arts within the debate of measurement when it is in fact the intangible value they bring to our lives that should be emphasized and celebrated. The arts are a key component of shaping any culture. Culture is how we see the world. How we see the world influences our decisions. With the world’s decision-makers joining us in Davos, we have an opportunity and a responsibility to bring the arts into the mix, helping leaders form as full a picture as possible of the global challenges and inspiring creative ways forward to tackle them. At the Forum we speak of artists as “cultural leaders”—indeed we are primarily interested in engaging with artists who directly through their work or indirectly through other activities are actively engaged in improving the state of the world. The arts activities in Davos may or may not have tangible outcomes. A performance may only provide hope, or an installation only a slight sense of discomfort. How will participants react to Lynette Wallworth’s immersive “Evolution of Fearlessness”, a set of moving and interactive portraits of women refugees, which celebrates resilience in the hardest conditions—this in the context of the worst refugee crisis ever recorded? We will not prescribe solutions. It is not the role of the arts. But we will trust in the potential of the experiences, in the context of how they are presented and contextualized within the Annual Meeting, to spark a new idea, create more empathy, shift a consciousness, and even lead a leader to commit to action. None of this is efficient nor scalable; but then again change has never come easily. Author: Nico Daswani is Associate Director, head of Arts & Culture for the Programme Development Team at the World Economic Forum. Image: The photographic installation, ‘In Search of Balance’, is projected onto the walls of the Congress Centre in Davos, Switzerland. Copyright World Economic Forum.